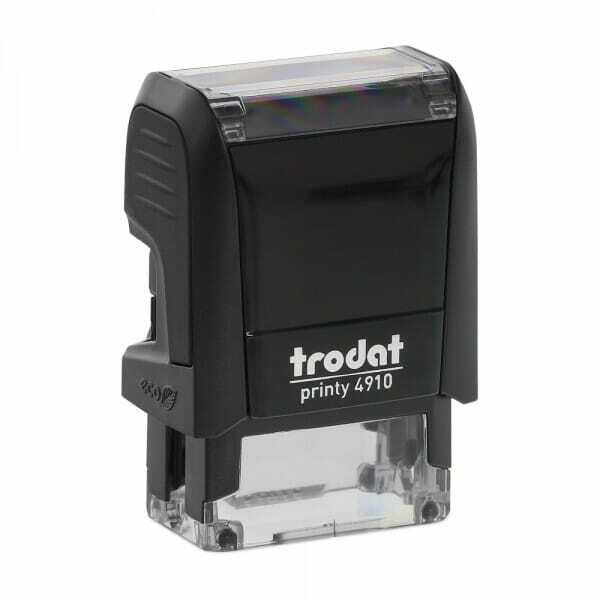 The Trodat Printy 4910 self-inking stamp has a maximum text plate size of 3/8" x 1" - (9 x 26 mm) allowing you to create up to 2 lines of customized text. This small stamp is the perfect size for a an inspection stamp, and has an optional key chain attachment. The replacement ink cartridge 6/4910 is available in black, blue, red, green or violet. Replacement pads are supplied in packs of three. Customer evaluation "Trodat Printy 4910 3/8" x 1" - up to 2 lines"
The stamp came out perfect.